What will the result be of Burnley v Cardiff City? For Burnley, Aaron Lennon (knee) and Peter Crouch (appendix) both won’t feature as they continue their recovery. Phil Bardsley will require a late check for his gashed thigh while Steven Defour (calf) remains sidelined. For Cardiff, Callum Paterson (ankle) and Sol Bamba (anterior cruciate ligament) will miss the rest of the season. Goalkeeper Alex Smithies (knee) is struggling and will be limited to Under-23s duty. “We got one or two knocks in the week, one or two scares, but I think the selection will be pretty much from everyone." Minus Sol Bamba & Callum Paterson both out injured for the rest of the season. Burnley Football Club is a professional association football club based in Burnley, Lancashire, England. Founded on 18 May 1882, the team originally played only friendly matches until they entered the FA Cup for the first time in 1885–86. The club currently plays in the Premier League, the first tier of English football. Nicknamed the Clarets, due to the dominant colour of their home shirts, they were one of the twelve founding members of the Football League in 1888. The club's emblem is based on the town's crest, with a Latin motto Pretiumque et Causa Laboris ("The Prize and the Cause of Our Labour"). In the 1920–21 campaign, Burnley were crowned champions of England for the first time when they won the First Division. During that season the team embarked on a 30-match unbeaten run, which remained an English record until it was beaten by Nottingham Forest in the late 1970s. Burnley attained a second league championship in 1959–60 with a team consisting of mostly youth academy graduates, winning the title with a last-day victory over Manchester City, after foundations were laid by pioneers Alan Brown, Bob Lord and Harry Potts. We lost 2-1 at home to Burnley in September. Johann Berg Gudmundsson and Sam Vokes got the goals in the second half to give the visitors the victory. Josh Murphy had equalised for us at one point. Burnley FC: "We want to go and win again next week against Cardiff, and keep pushing up." Burnley host Cardiff City looking to record a third straight win and put Premier League safety within touching distance. The Clarets’ 3-1 win at Bournemouth’s Vitality Stadium last weekend opened up an eight-point gap to the Bluebirds in 18th, meaning a win today would take Sean Dyche’s men 11 points clear of relegation. If Eddie Howe’s Bournemouth fail to pick up three points today, then Burnley could even move up a place to 13th with a win. Tonight’s game between Leicester City and Newcastle United at the King Power Stadium could have permutations before Saturday’s kick-off, with Rafael Benitez’ Magpies currently one point behind the Clarets. 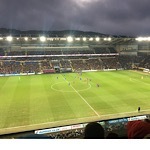 The Clarets defeated Cardiff 2-1 in the reverse fixture, and the last meeting between the sides at Turf Moor ended in a 0-0 draw on the way to Burnley’s Championship triumph in 2016. In the opposition dugout, Cardiff boss Neil Warnock says every game is now a ‘cup final’ for his side, who have lost five of the last six games, conceding 14 goals, to leave them five points adrift of safety. Cardiff play their game in hand on Tuesday night away at Brighton, who are currently three points behind the Clarets, having played two games less due to their FA Cup run. With the chance of safety in sight, boss Sean Dyche insists his side still have work to do in order to secure Premier League status for another season. “Wolves are having a great season and won off the back of us against Manchester United, and Bournemouth, I think we’re the only side outside the top six to win there this season. “They have been very important performances and valid wins and we have to do it again. The Clarets have picked up 24 points from 14 games since Boxing Day, a run that has pulled Dyche’s men out and away from the relegation zone. Burnley have only failed to score in one of the last 10 fixtures, a run that has seen striker Ashley Barnes reach 10 Premier League goals in a season for the first time in his career. The two sides have played out four draws in the last six meetings, with Burnley and Cardiff getting one win apiece in that time. The Bluebirds have won just three games in 2019, against Bournemouth, Southampton and West Ham United. Cardiff have scored nine goals in 15 away games this season – the lowest in the league. Cardiff City boss Neil Warnock: “You’ve got to give Sean (Dyche) credit. Early on in the season, people were talking about his head and everything, but he’s done it year in, year out and I think he’s up there with the best in the division with what he’s got to deal with. "It’s a difficult task. We are running out of time and points and I think we are going to be in a situation where we definitely need to take points from these two games (Burnley and Brighton) now. “We know they are both going to be difficult and what we’ve got to make sure is that it’s difficult for them as well. Victory last week gave Burnley a first double over Bournemouth since 1999/2000, the same season the Clarets last did the double over Cardiff City. The last time Burnley defeated Cardiff City at Turf Moor in the top-flight was in October 1961, a season which ended with Burnley as runners-up and Cardiff City getting relegated to the Second Division. A win would give Burnley three straight wins for the second time this season. Chris Wood is two goals away from Burnley having two players with 10 goals in a single Premier League season for the first time. Heart says 0 v 1 win, Head says 2 v 0 defeat especially if Burnley score first. We are due some luck this season, it so needs to be tomorrow. Early effort for Burnley sees a Chris Wood header hit the post! Good stuff from Cardiff, as Zohore holds it up, feeds the onrushing Murphy whose left-foot shot has power but not quite the direction. Probably the Bluebirds’ best chance that one, drilled a metre or so wide. We’ve got a delay now as Lee Peltier receives treatment. Cardiff are getting penned back a little here. Peltier hands off Hendrick and concedes another free kick deep into the visitors’ territory. 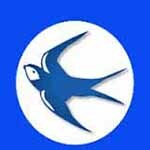 The Bluebirds need to hang in there. This one from Westwood is fizzed over the bar. Big big save from Etheridge! Again it’s worked to Westwood, who again is through on goal and should score. The goalkeeper made himself big to keep it at 1-0. But the pressure is only increasing here. Charlie Taylor fires over as the corner drops in the box.